If you dream of tropical beaches in remote places of the world, remember Bora Bora. Imagine yourself surrounded by a white-sand beach, fringed by palm trees, next to the glimmering turquoise water of a lagoon. 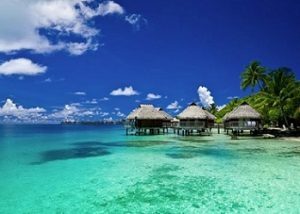 Located 160 miles northwest of Tahiti, Bora Bora is known for its mystique as well as its natural beauty. Here are a few popular beaches there. Motu Toopua is in the middle of Bora Bora’s lagoon. 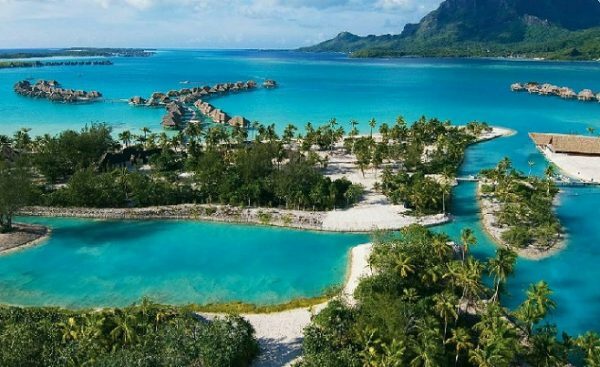 This white sand beach is home to Hilton BoraBora and Bora Bora Lagoon Resort; this location is popular for sunbathing and it offers breathtaking views of the surrounding island. Motu Tehotu is home to the Four Seasons Resort. There you will find all the modern comforts in your choice of over water bungalows, on this white sand beach at Tehotu Island. Matira Point is a long peninsula with breathtaking views. The east side of Matira is known for its white sand beaches and luxurious over-water bungalows. Motu Ome is another pristine white-sand beach where tourist like to swim or snorkel. This beach is home to St. Regis Resort Bora Bora. 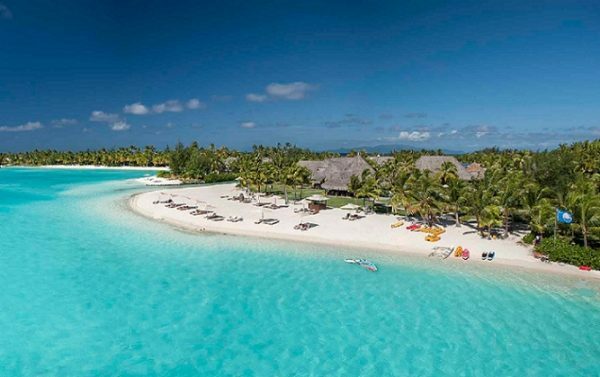 Matira Beach is home to several resorts including Novotel and Sofitel Bora Bora. In addition to the excellent snorkeling and swimming, the white-sand beach is a short walk from the boutiques, snack bars and restaurants. Also, visitors can get a drink at nearby bars and restaurants.